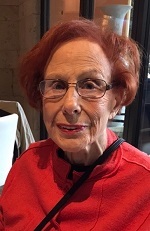 Ilene Gretchko, 85, of West Bloomfield, Michigan, died on 20 March 2019. The Funeral was held at The Davidson/Hermelin Chapel at Clover Hill Park on Friday, 22 March 2019 at 11:00 AM . Rabbi Jennifer Kaluzny and Cantor Michael Smolash officiated.